The Maxspect Fragnifier is a unique Acrylic Magnifier with build in Glass Cleaner and Option Frag Rack supplied with 18x Bio-Plugs. 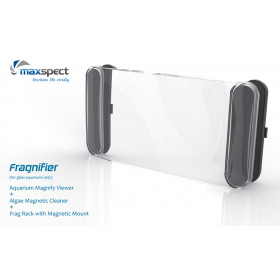 Amazing close up views to inspect fish and coral, regardless of distance fromt the aquarium or depth of viewing, this unique design stays in focus without having to zoom the magifier in and out the way you would with a magnifying glass. 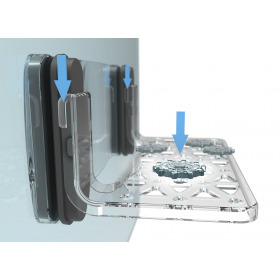 The rack can support up to 18x Bio-Plugs.